Black Friday found another victim. I normally don’t succumb to the hype surrounding the so-called “biggest shopping day of the year”, but I found a deal I just could not pass up. I had been eyeballing the Playstation Vita since its February release, but I was waiting for a bundle and/or a price drop before taking the plunge. Enter: Amazon. Normally the Vita Wi-Fi system on its own costs $249.99, but Amazon put together a bundle with more content for a much lower price. For a grand total of $179.99, this bundle came with a white Vita, a 4gb memory card, Assassin’s Creed III: Liberation, PlayStation All-Stars Battle Royale, three free months of Playstation Plus (which includes six free Vita games), and a $10 off coupon toward the purchase of the PS3/360 version of Assassin’s Creed III. On its own, this package would cost twice the sale amount, which is just ridiculous. Merry Christmas to me, I suppose. Since my package arrived last week, I have been trying out everything at my disposal. The system itself is an amazing piece of technology with a slick, stylish design. The five-inch OLED screen is gorgeous, and the ability to use both front and rear touch pads is a nice inclusion. Former PSP owners will love the addition of a second analog stick, which will come in handy with shooting games. The touch screen interface is simple to navigate and customize, and I have found that the button-based system is much easier to use than the PS3’s XMB menu. Every function is easy to get to and fast to load, and connecting with friends is even smoother than before. The only real problem I have come across has nothing to do with the system itself; rather, it’s the high price of its memory cards. Rather than use the reasonably priced SDHC cards, Sony opted to make its own line. This wouldn’t be a problem if the damn things weren’t so expensive! Since the Vita has a heavy emphasis on digital distribution, a good-sized memory card is needed to get full value. The biggest size offered, 32 gb, retails for a whopping $99.99. I should be able to get by for now with my two 4gb cards (the second of which was on sale for $9.99), but I can already tell it’s going to be frustrating to swap them out repeatedly. The only Assassin’s Creed game I have ever played was the first one, and quite frankly it was terrible. What seemed like a cool concept quickly deteriorated into a series of repetitive events — it felt more like work than fun. From what I’ve heard, the series has improved drastically since then, so I was willing to give Liberation a shot. I have played through the first few missions, and so far I’m digging it. The gameplay feels more refined, and I haven’t run into any monotony yet. It’s still early, but I’m feeling much better about this than I ever was with the first game. Also, I really dig the 1780s setting, and it’s pretty cool that the main character can change disguises to complete different tasks. This is one of the most intriguing games currently on the Vita, and it’s the one I am enjoying most. Gravity Rush is a slick-looking game with dazzling visuals and a fantastic soundtrack, and the ability to change gravity is a fresh gameplay mechanic that is also very rewarding. Being able to explore the floating town of Hekseville is fun in its own right, but given the ability to fly adds a whole new dimension to it. There’s a very good chance that this will be the first game I finish and review. I’m not a big fan of fighting games, but this collaboration of Sony and third party mascots is quite enjoyable so far. I have been playing as Sly Cooper, but I love the variety in characters available (looking forward to trying out the Big Daddy from BioShock). I have only played through a handful of matches, but I have been dominating. I tried out the online feature and promptly destroyed everyone in the four-player match despite my opponents already being ranked well over level 200. I can’t possibly be that good, right?? It’s kind of amazing that this is the fourth highest rated Vita game on Metacritic. After playing through a good chunk of the game, I can see why. The platforming action is fluid, and many of its touch-screen additions work surprisingly well. I also love the sub-levels that make you tilt the Vita to move the blob to the end of the course (a 21st century spin on the wooden Labyrinth puzzle, if you will). While I got this for free thanks to PS+, its regular $7.99 price tag is a steal. 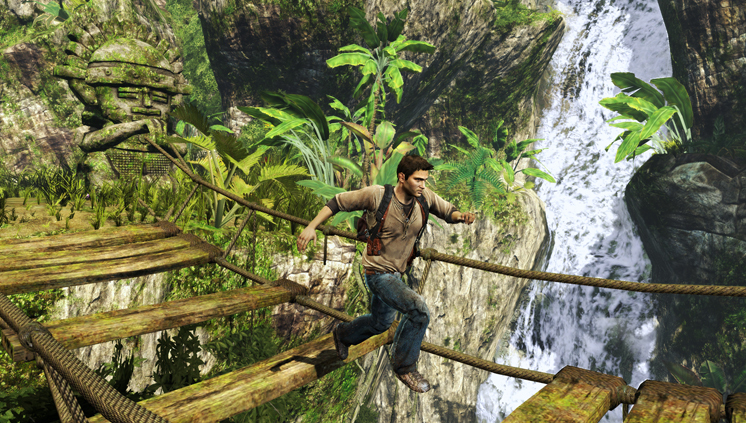 I have only played through the prologue so far, but this Uncharted looks and feels just like its PS3 brethren. Some of the touch screen controls are a bit ludicrous (i.e. swiping the screen to climb), but thankfully most appear to be optional. I’m looking forward to playing through this in its entirety. 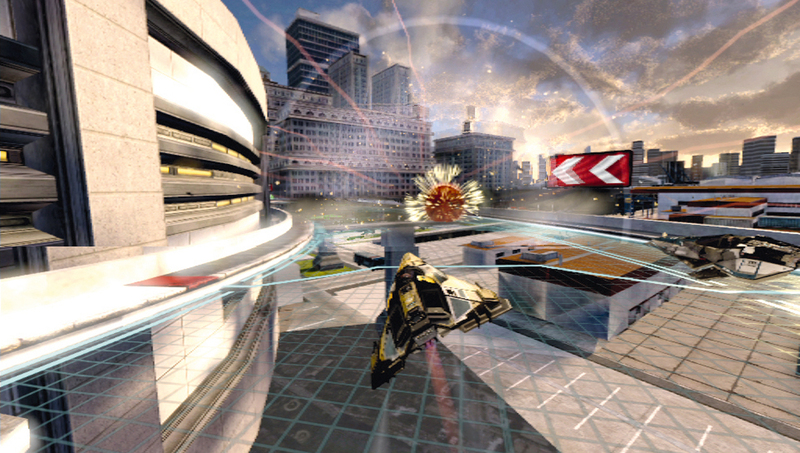 Wipeout HD is one of my favorite PS3 games, so I was excited to play its Vita counterpart. It’s pretty much the same Wipeout I know and love, which is definitely a good thing. My only concern is, what’s up with the excruciatingly long load times? As a digital game, this is inexcusable, especially for a portable system. The racing action is great, but it takes a long time to get there. What do you guys think of the Vita? Anyone else out there own one? What are your favorite games for the system? The two Anolog Sticks really come in use.. I own a PSP, and shooters on it, just don’t work very well.. I do hate that sony added a Touch Screen to the device. I think Touch Screens ruin the fun of Gaming(One of the reasons i sold my DS Lite). Thanks for blogging on this. I could not find anything on this because i joined WP after it came out. Glad to help out, Connor. I never liked playing shooters on the PSP either, but I have heard they play much better on the Vita because of the second analog stick. I know it’s helped immensely with Uncharted alone. Yes i’m sure Uncharted would need that second anolog, or-else it would be no fun. Ahah, Black Friday victim eh? I actually like the look of Assassin Creed and Uncharted though I’m not a gamer. Curious to see how the movie adaptations would shape up to be. I’m still not sold on the film adaptations, but Assassin’s Creed does sound more promising now that Michael Fassbender is on board. Nice haul! That was a damn good deal Amazon had there. Earlier this year I had planned on buying a Vita during Black Friday, but then I decided to get the Wii U instead. I will get a Vita eventually though. I’ve played it before in a Target; the demo for Uncharted. Looked great, seems like it would play great, but I’m not the biggest fan of playing game/system demos in stores so I only tried it for a couple of minutes. I’ll be picking up Battle Royale at some point. I played a ton of the beta (so much that I kinda burned out on it before the game even released), and really loved it. 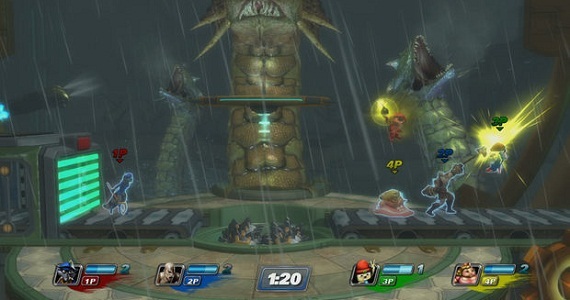 The beta only had six characters, but Sly was actually my least favorite (tied with Fat Princess). My favorite to use was Sweet Tooth, followed closely by Kratos. When I get it for PS3 we’ll have to play sometime since it’s one of the games that supports cross-play. Thanks, man. I’m sure this won’t be the last great deal on the Vita, so you should still be in good shape when you are ready to pick one up. I had a similar playing experience at Best Buy — I could tell it was one slick little system, but their setup felt so awkward that I gave up after a few minutes. It feels so much better being able to move it around freely. Let me know when you pick up Battle Royale. Would love to try out the cross play feature with that. I have a bit of a soft-spot for BattleRoyale. I just recently got a Vita as well, and am playing Unit 13. But Uncharted, BattleRoyale and Gravity Rush are all waiting on my shelf. I really want to check out Unit 13. It seems to be getting mentioned a lot, and I’m curious how the shooter plays out on Vita. Since I wrote this post, I also picked up Rayman Origins which is absolutely gorgeous. It has bumped itself up in my playing queue. Sony got it right with CD, DVD, & Blu-Ray systems… but their portables (and even music players) have used their own proprietary tech. Mini Discs, Memory Sticks, UMD, and now the Vita Memory Card… It’s frustrating that they insist on trying to create standards where ones already exist. Mainly because of the cost and the fact that it can only be used on their systems… I wish they would stop playing that game and give in to SD cards. I think that, given the backlash, they will finally succumb to the pressure and use SD cards next time (if there is a next…). I know they opted for their own cards this time to bring in extra revenue, but the prices are so ridiculous. I’m going to have to get by swapping out 4 gig cards because there’s no way I’m paying $100 for a 32 gig. Great round up sir. Agree with everything you said – surprisingly enough I actually preferred AC Liberation to AC III. I heard that using their own memory cards was an attempt to stifle the piracy that was rife on the PSP (via SD cards). Hope you enjoy your Vita – I’d also give Motorstorm RC and Need For Speed a try, both great racing games. Thanks, man. That’s an interesting point about the memory cards being used to deter piracy. I have noticed Sony seems a lot more cautious this time around, even going so far as to restrict certain PS1 titles from being able to be played on Vita. I get why, but it’s frustrating to not have access to everything the PSP currently has. I’ll check out those racing games. Thanks for the tip! Nice write up Eric. I got my Vita back in March or April. Have only really played it here and there unfortunately, but like you I really enjoyed AC3 Liberation, and what little bit I played of Uncharted Golden Abyss was fun. Unit 13 was fairly solid as well IMO. Was actually the first game I bought for it. Thanks, Brian. If you have any interest in PS+, it sounds like it’s going to be a pretty good investment for Vita owners. All of the free games they have right now are very enjoyable. I’ll have to check out Unit 13. Heard some good things about that one. Good stuff! I was a little impatient on my end in that I didn’t want to wait until the Black Friday sale to get my hands on the white Vita. I remember being interested when it came out, but it didn’t draw my attention all too well. Then I heard about the Assassin’s Creed bundle and I was a little overwhelmed by the model. It might not be that big of a deal, but that’s the beauty of being an individual. I just think it looks and feels well, better than the black one. (Even though they are identical). Regardless, I can say I approve of the system myself, and it’s nice to see a bit of good light on it. I believe there are a number of things that Sony could have done to avoid the bad media it’s receiving (ESPECIALLY the memory cards. $100 for 32GB? I could buy a TB hard drive for less!) but it has an outstanding potential. I just hope that if/when it’s realized, they try stick with it and not make another PS handheld to recover. Thanks for the comment! 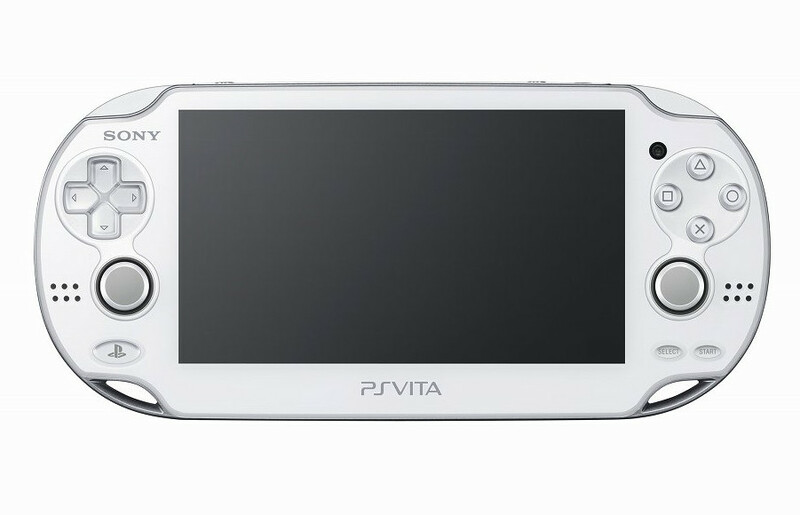 I’m really digging the white Vita, too. I know exactly what you’re saying — both colors look good, but the white one feels more stylish, I think. There’s definitely a lot of potential with this system, even with the memory card debacle, so hopefully more third party developers sign on for 2013 and beyond. I think a permanent price drop will help, but these bundle deals are a good start. I am now incredibly jealous of your purchase. A great deal from Amazon indeed! I had no idea the memory cards were THAT expensive! That’s pretty crazy… maybe Amazon will pull another deal sometime for a memory card you can snag. Gravity Rush looks like one of the VITA’s better games in my opinion as well. And if I were to get a VITA, I’d likely grab Uncharted right off the bat. I’m loving the system so far, man. Definitely recommend picking one up if there’s another deal like this. 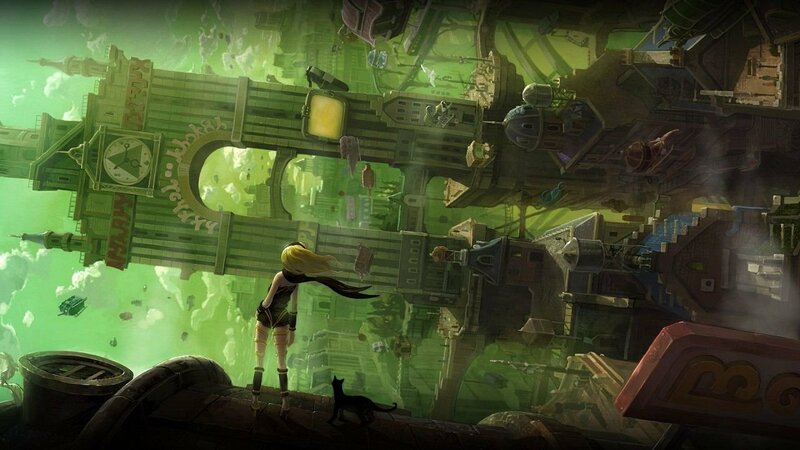 Gravity Rush is gorgeous, and it’s a lot of fun exploring its small world sandbox-style. For me, the biggest surprise has been Tales From Space. Just finished that one the other day and it was a blast! The last few levels were incredible. The back touchscreen is a travesty… A useless gimmick Sony thought could help move more units. I wish they had invested in a better GPU to get better graphics with good FPS…. I wouldn’t say the back touchscreen is a travesty, but yeah, it has been underwhelming so far. 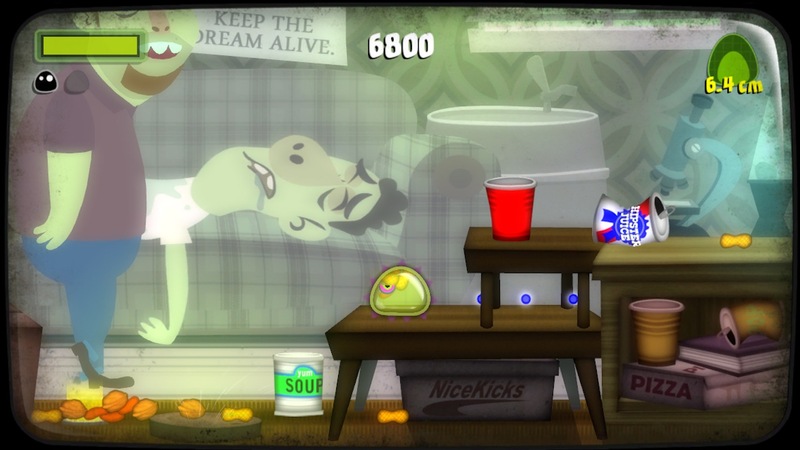 I like how games like Escape Plan make use of it, even if it can be too touchy at times. I think there’s some potential with the feature, but it hasn’t been realized yet.